If you’re visiting the North Norfolk coast, why not explore the local art galleries? 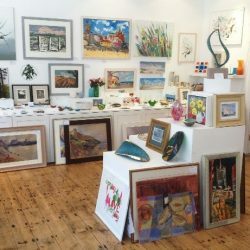 The Gallery Norfolk has two branches in Cromer and Norwich, both offering a chance to discover local and established artists. In Cromer, get a flavour of North Norfolk with work inspired by nature and the sea, which is just steps away. If you’d prefer a metropolitan backdrop, the Norwich gallery is just as inspiring. The galleries are favourite destinations for high-quality art and a selection of handmade craft and jewellery. Polly Miller owns the galleries and is a Picture Framer. As well as running The Gallery Norfolk, she is responsible for carefully selecting the art and craft on display. Art enthusiasts have the chance to browse and purchase quality pieces of art and crafts. Whatever your taste, there will be something that catches your eye. The Gallery Norfolk is praised by visitors who admire the creativity readily available to see. Although information on the art is provided, helpful staff are happy to assist. “We have such positive feedback from visitors; many say it’s the most interesting and varied selection of art and craft in Norfolk. Much of the art is local, but the emphasis is on it being good! The work of around 50 artists is displayed in the gallery, on the walls and in browsers. Pieces from skilled craft makers and jewellers are also on show. 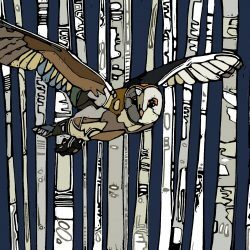 The artists are both local and national, although Polly’s only criteria for selection is great work. The gallery is always on the lookout for new talent and has recently added local artists to the collection. 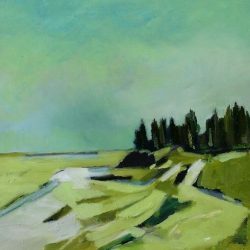 “Norfolk painter Ruth Bunnewell is a firm favourite, tipped by House and Garden magazine as a rising star of British landscape paintings. Other highly regarded East Anglian painters include Richard Dack and Molly Garnier, and the brilliant pet portrait artist Jenni Cator. Exhibitions take place at the galleries throughout the year. There are plenty of upcoming exhibitions to attend, including Jenni Cator, Andy Lovell and Ruth Bunnewell. Both galleries are free to visit and welcome customers to browse the artwork. Works are for sale, with prices as low as £30 up to £3000, to suit a range of budgets. 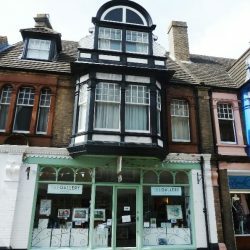 The Gallery Norfolk is located in Cromer (NR27 9ER) and Norwich (NR2 1LW). The Cromer gallery is approximately half an hour away from The Blakeney Cottage Company HQ.